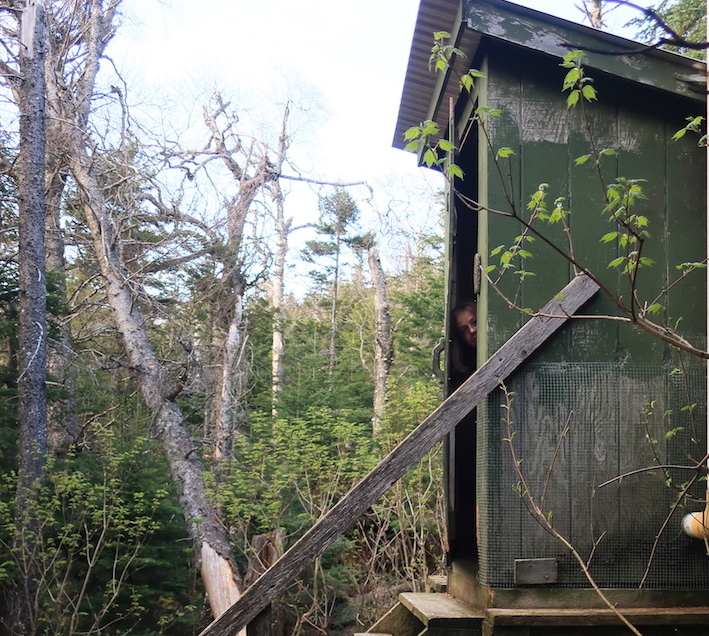 The privy at the Baldpate Shelter is your classic privy; door with locks on both sides, broom to sweep the floor when you’re finished, a bucket for bulking agents (mulch, leaves, etc. to aid in breaking down the solids -yes poop), and a beloved “seat”. The seat in this privy was a hole cut in a piece of wood with the “lid” being a wooden hatch. Unfortunately, the hinge on the hatch was not quite in the right spot. As you’d go to sit down, the hatch would slam against your back…did I mention there were spider webs in this classic privy?